Are Plumbing Inspections Important For Homeowners? Yes, it’s definitely important! Owning a home is exciting, but a lot of responsibility. Hiring a professional for a plumbing inspection annually will help protect your home and your wallet. Here’s some of the items we look for during an inspection. The first thing we do is look for leaks and condition of piping. If the pipes are 60 years or older then you might want to get them replaced or relined. We run a fiber optic camera into the main sewer line to ensure there are no roots, breaks or clogs in the line. There are many horror stories of people buying houses to find out a month later that the sewer line is broken. All plumbing fixtures in the house are designed to operate under 80 psi. If the incoming pressure is above that you run the risk of blowing out washers, and increases the risk of a leak or wasted water. The #1 insurance claim for plumbing is supply lines to washing machines. Most washers come with black rubber hoses but after several years of constant pressure on them they begin to bubble and eventually burst. It always seems to happen when the customer is away on vacation. We can easily solve this problem with stainless steel braided supply lines. We dye test toilets to make sure that water is not sneaking by the flapper and wasting water. This is a very common issue and can raise your water bill by hundreds of dollars. It can be easily fixed with a new inexpensive flapper. 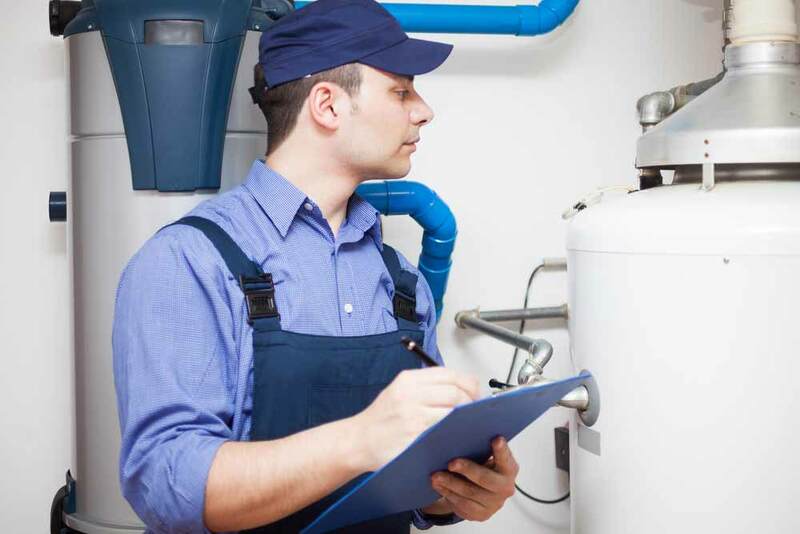 We check hot water tanks to ensure that it is plumbed correctly, & doesn’t show any signs of failing. A hot water tanks can be a very dangerous appliance if it is not working or connected properly. Plumbing inspectors know exactly what to look for and can usually do the job in a few hours or less. If you’re interested in a full home plumbing inspection, give us a call at 206-789-4944. Bob Oates Plumbing, Sewer, & Rooter would be happy to come over and check out everything for you. Also $50 off for first time costumers!